Sequel Transition Academy is located on the West Farm campus, approximately seven miles west of Sioux Falls. The West Farm was originally a working farm for the South Dakota State Penitentiary. The prison farming operation ceased in 1997. The state converted the buildings into a juvenile transitional care facility that opened in 1998 and closed in 2012. 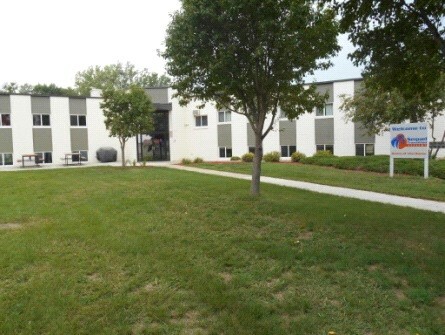 In June 2013, the facility reopened as the Sequel Transition Academy, a 32-bed licensed group care home that provides transitional services to DOC youths returning to the Sioux Falls area. Sequel Youth and Family Services leases the property from the state. The youth in the Sequel Transition Academy have successfully completed a program and are beginning to plan out the next phase in their lives. They will have a daily, structured schedule that includes attending school, gaining employment, attending community programs and preparing themselves for living independently. Transitional, independent living skills in a 24 hour supervised environment. Access to needed services such as: education, mental health, behavioral, employment, chemical dependency and vocational. A safe and respectful environment where youth are supported and positive behaviors are role modeled. Educational services are provided by the West Central School District. The focus of all youth will be to obtain a High School diploma but GED services are also available. Special Education services are also provided. Case Management services to include individual, group and family counseling. An on-site registered nurse is available for medication and medical needs.